Planning to take the tots out for a fun weekend and cant’t think of where to go? We have a few ideas that will have them smiling from ear to ear! The new Tampines Regional Library at Our Tampines Hub opened on 5 August 2017 and it is massive. Towering at five levels, it is filled with countless spaces that can accommodate to different age groups and interests. The children’s collection is split over two floors and you can be assured that there is plenty of books and space for your child to explore. 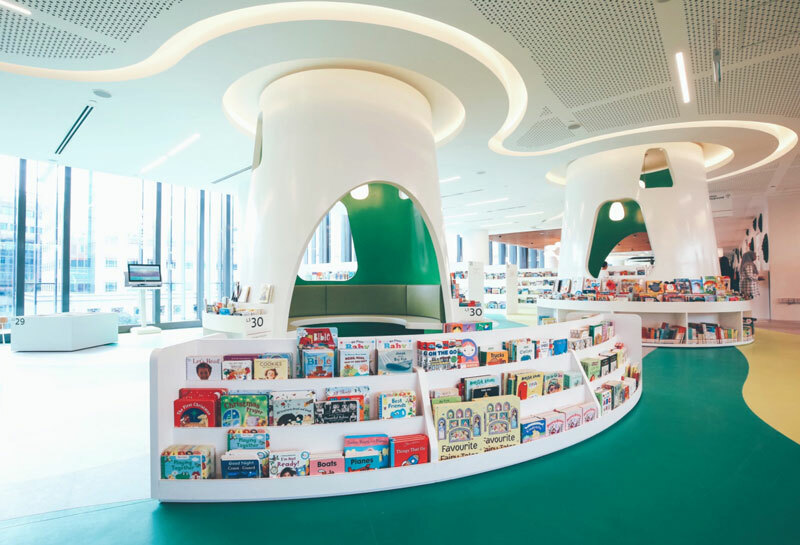 From whimsical reading corners in the form of bird cages and hollow tree trunks to low-height book shelves specially catered for your little one, there is also a playground that will surely entice your child to enter the library on the weekend. We are nearing the Mid-Autumn festival and in celebration of it, Gardens by the Bay has a great lineup of activities for your family. There is a lantern display located at the outdoor gardens where sprawling lantern sets reflect scenes of bountiful harvests and abundance. Do not miss out on “Waters of Prosperity”, the largest lantern display created by the Gardens to date. You can also engage your toddlers in fun activities like lantern decorating, umbrella painting and learning to tie Chinese knots all at the convenience of the Garden itself. Indulge in a wide variety of Asian delights at the Food Street that is sure to wow your taste buds too. There is no better way to celebrate the festival than to be at Gardens by the Bay this year! Time: Various timings for different activities, but it’s best to arrive at 5pm to enjoy the whole experience. 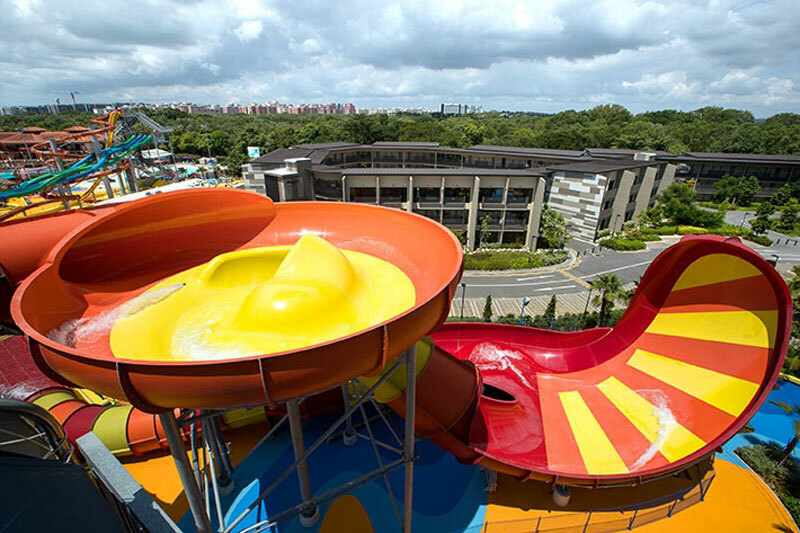 Our favourite Wild Wild Wet water theme park recently got a facelift and it has been upgraded with new slides and rides. The terrifying Free Fall slide is almost near vertical, and drops at the speed of up to 50 feet per second. Warning: it is only for thrill seekers, not for the faint-hearted! There is also Yippie!, a shallow sloshing area filled with soft play equipment designed to provide a safe and fun environment for toddlers. There is no doubt it is going to be a fun-filled weekend! The Mid-Autumn festival hype is real, and Chinatown is going all out with the festivities this year. Check out the annual street light-up in its full glory along Eu Tong Sen Street, New Bridge Road and South Bridge Road. On 1st October, there is a mass lantern walk where you can light up lanterns and join in a walk around Chinatown. There is also a Festive Street Bazaar in the area selling mooncakes, decorative collectibles and more. The place will definitely be packed with energy, take a stroll down Chinatown to soak in the lively atmosphere with family and friends! Location: All around Chinatown; in front of People’s Park Complex, Chinatown Point, New Bridge Road & Kreta Ayer Square. Time: Check the timings for various events here. 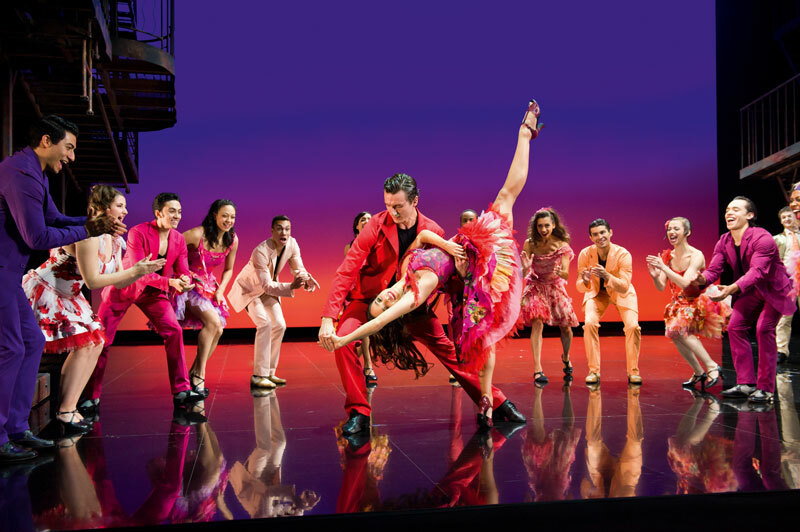 Inspired by Shakespeare’s love story, Romeo and Juliet, West Side Story’s ground-breaking choreography and unforgettable score changed the face of musical theatre in 1957. It is now showing at the Marina Bay Sands Theatres and packs a powerful punch, both dramatically and musically. Your worries are unfounded because this musical is suitable for children aged three and above (but with an advisory message of some adult content), and it is definitely a new experience for the both of you to enjoy. Time: See show timings here. This Sunday, RDA Singapore Official is holding the World Animal Day Carnival & Mega Adoption Drive – it’s time to have a furry fun day with the family at the charity carnival! Expect game stalls, food stalls and merchandise stalls all in support of various special needs and animal welfare organisations, activities and crafts stations and more! You will also get to learn about how RDA’s unique horse/pony therapy program helps persons with disabilities. If you’ve been looking for a furry friend to join the family, this is the place to adopt! 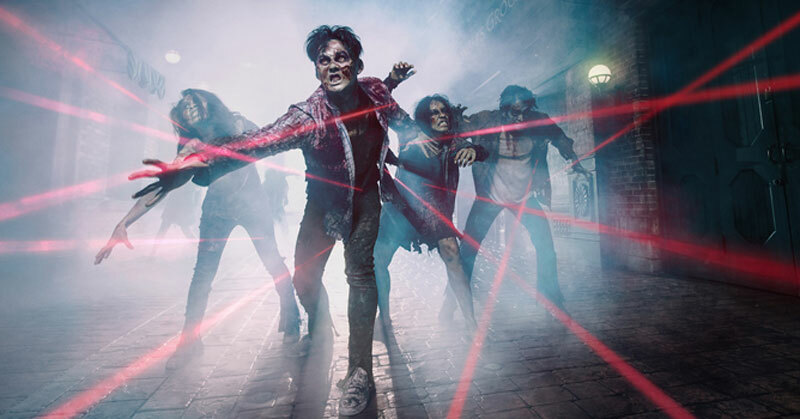 Starting this weekend, gear yourselves for a fright-filled night of horror at Universal Studios Singapore’s Halloween Horror Nights! If the whole family loves Halloween and none of you are afraid of getting spooked out, it’s time to pay a visit to USS. This year’s edition is spread across five terrifying haunted houses, two scare zones and two killer shows – expect heart-pounding moments and scares at every turn. Unleash your inner hero by waging war against the zombie population if you upgrade your ticket at $38 for the Zombie Laser Tag Experience!